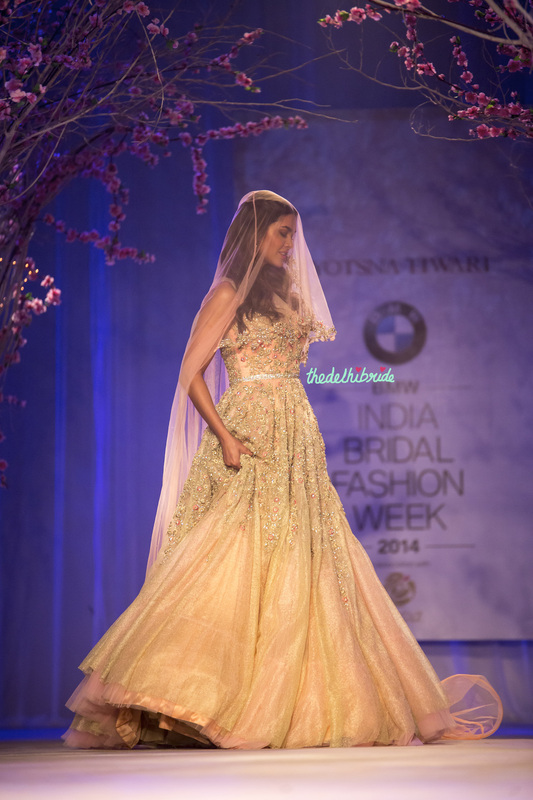 My favourite show of India Bridal Fashion Week 2014 – Tarun Tahiliani. My second favourite? This one. 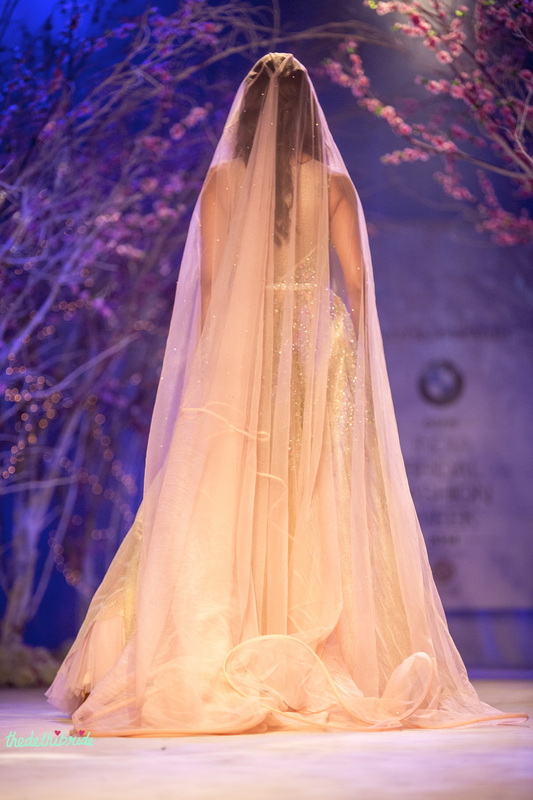 Jyostsna Tiwari took us for a romantic stroll under a night sky lit up with stars. Among cherry trees, we swayed to the music. 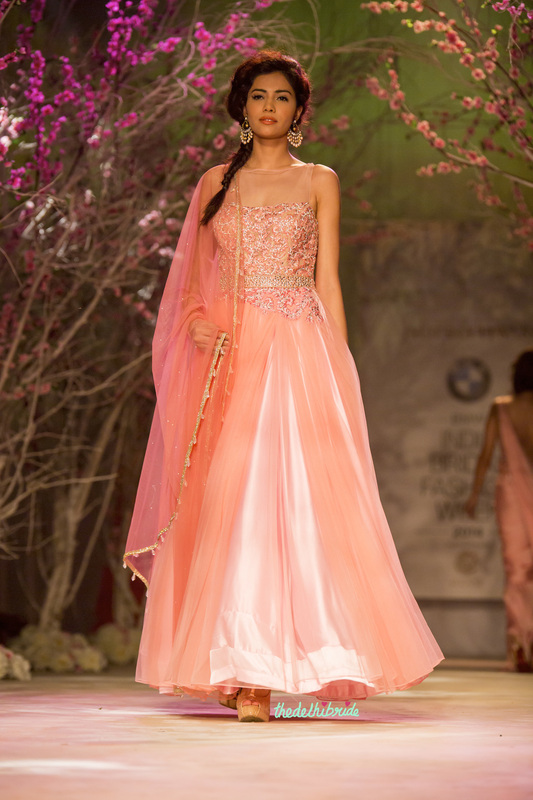 Angels walked past in baby pinks and sky blues, tiny floral embroidery on nets and tulles. Dewy makeup, pink lips. French braids and messy buns. The show was rather fittingly named “Under The Stars”. I want to hug this outfit. The fluffy, soft net looks like you can just sink into it! Where to wear? Your sister’s/ brother’s/ friend’s/ neighbour’s Engagement/ Sangeet/ Reception. You’ll be a vision in blue. Baby blue, pretty blue! I believe I’ve made it fairly evident that I’m ga-ga over this. Similar to the first blue outfit, I have the same things to say about this one. It’s so pretty! Just pick the one that suits your complexion more. Where to wear? Your sister’s/ brother’s/ friend’s/ neighbour’s Engagement/ Sangeet/ Reception. 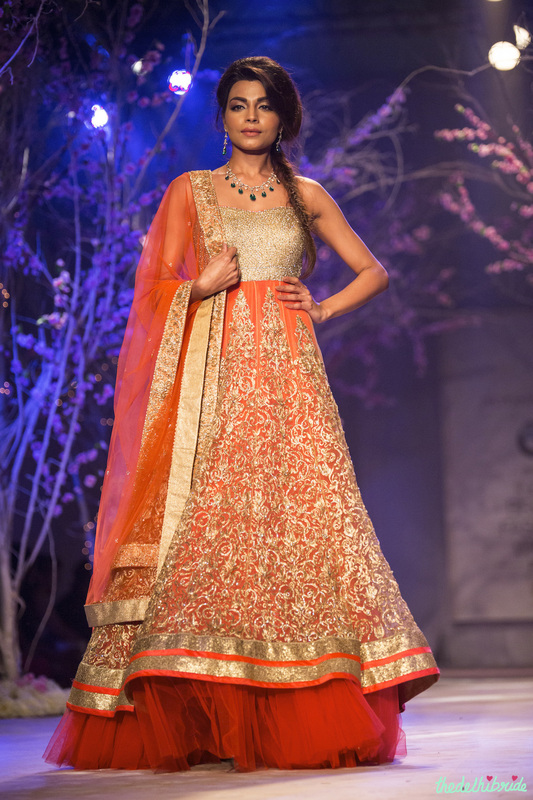 MUST-HAVE in your trousseau. 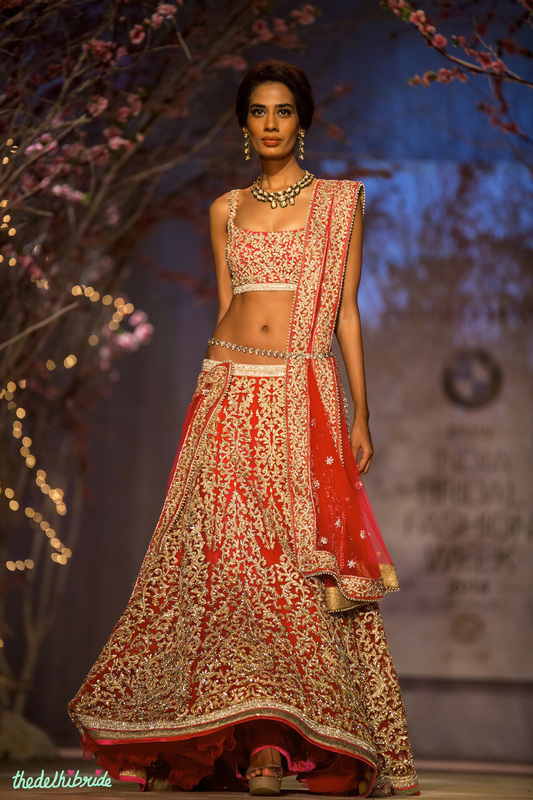 Isn’t this the dreamiest, most whimsical lehenga you have ever laid eyes on? 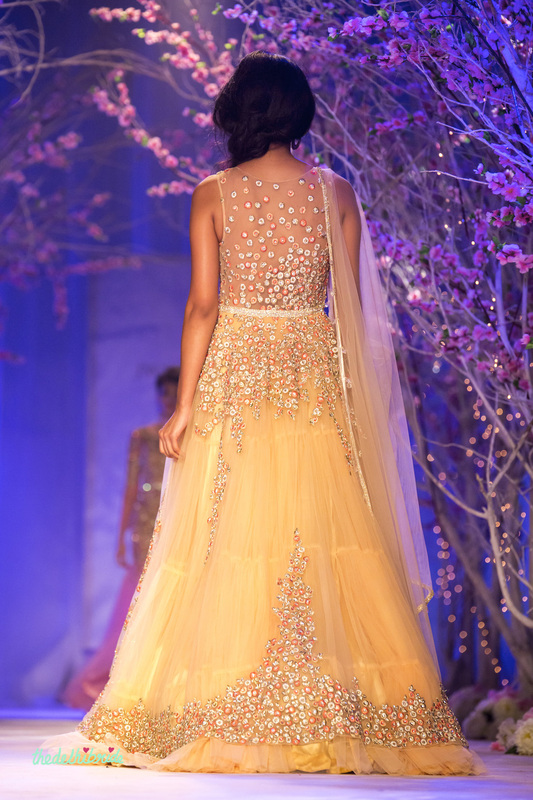 The delicate work, the way it looks like you’re walking through a shower of flowers. Where to wear? 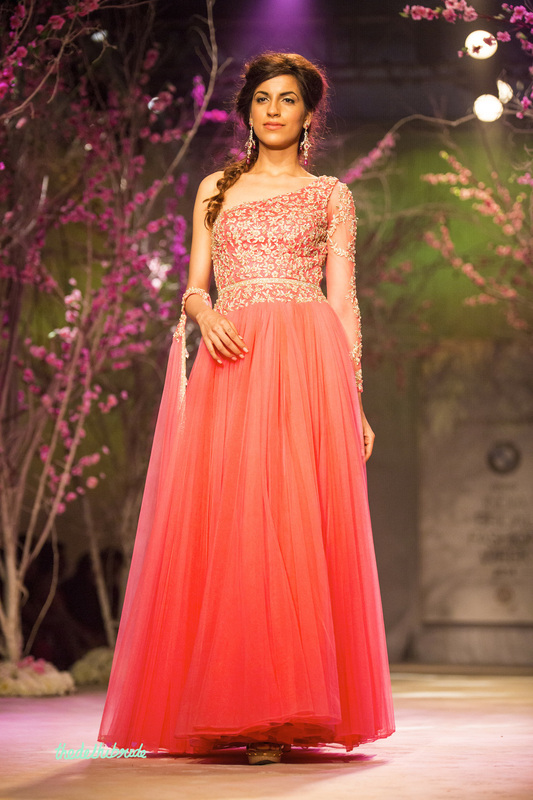 Put me in this on my Sangeet or day wedding. 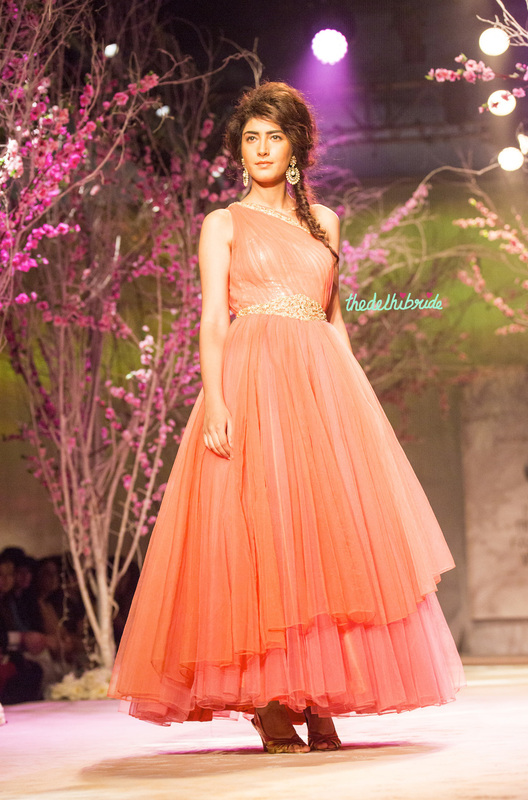 The sister of bride/groom could also wear this on the wedding. 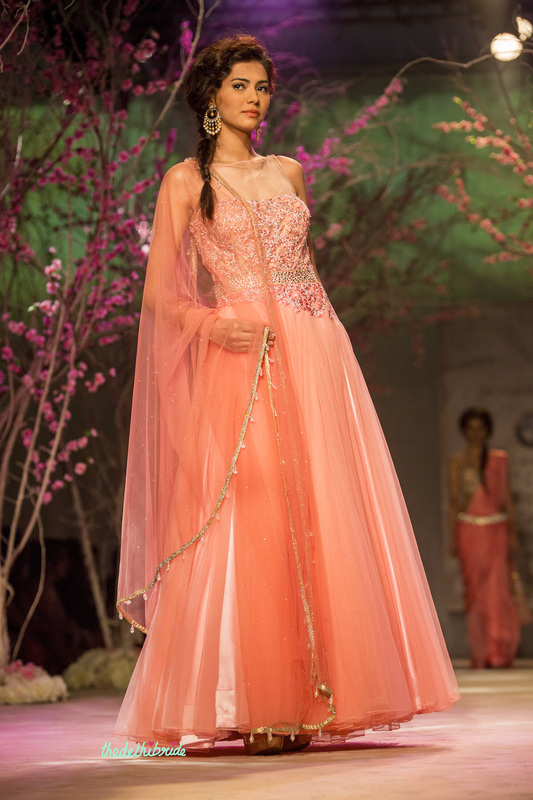 FOR A GOWN THAT WILL MAKE YOU FEEL LIKE A PRINCESS. 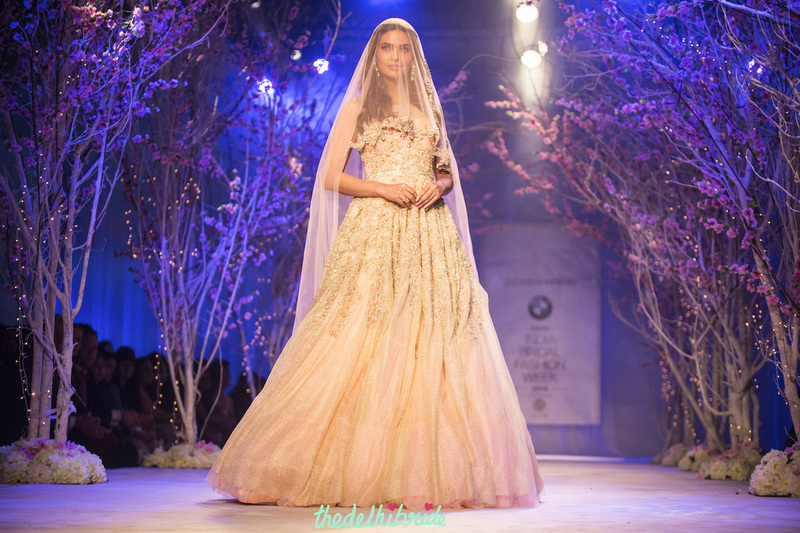 Esha Gupta stunned everyone when she walked out in this. The most beautiful wedding gown I’ve ever seen. Makes me wish I had a Christian wedding where I could wear this on my big day. Those of you from other religions, fret not. She stepped out again towards the end minus the veil, so you can wear in on your Reception! Ugh. 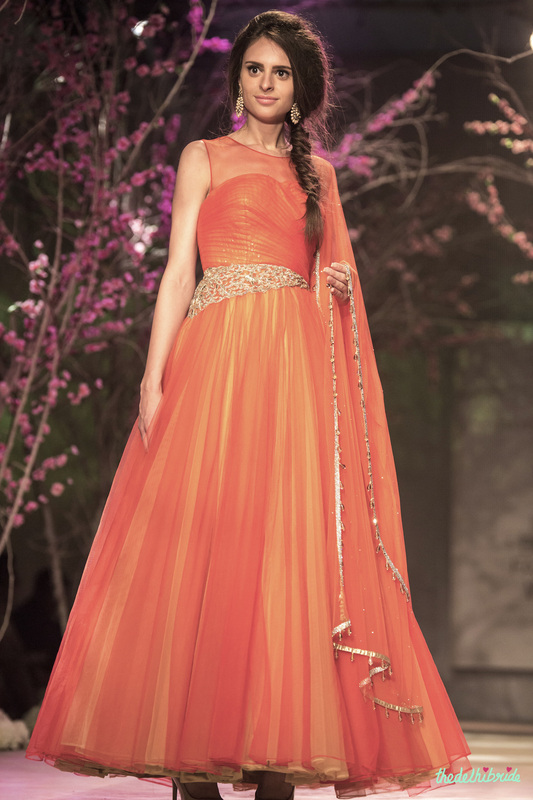 How can a gown be so wonderful? Don’t miss the soft curls, the tiny flowers in her hair and that beautiful pop of pink on her lips. The entire look was breath-taking. Who wants to accompany me on a visit to the store as I try on this beautiful piece of heaven on Earth? 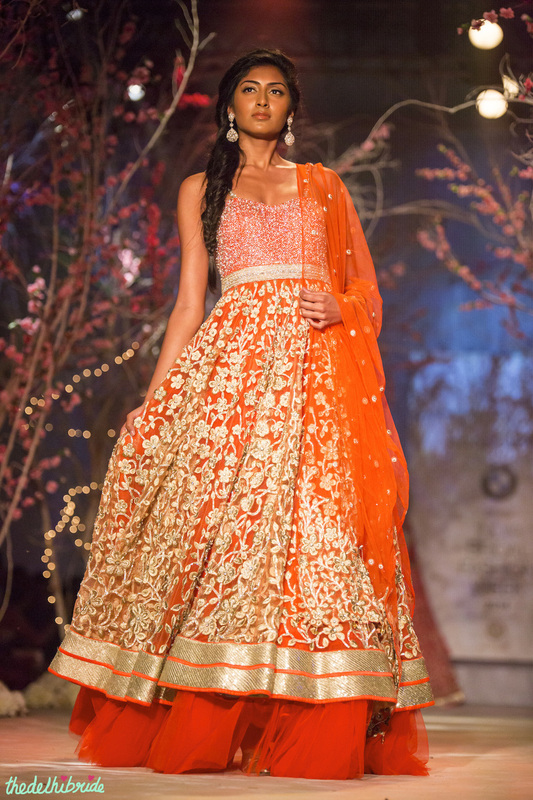 Have a look at the floral embroidery. 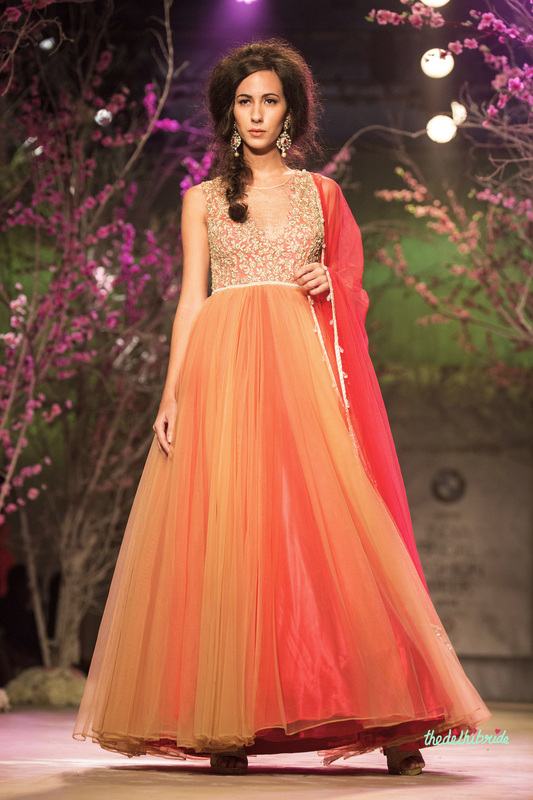 It’s pretty, and so similar to what we saw in Sabyasachi’s show at India Couture Week! I usually don’t like gowns. 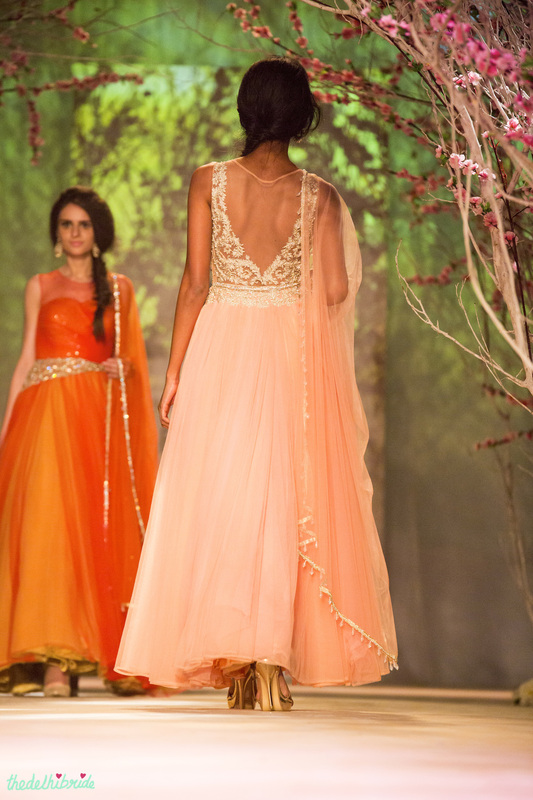 But the utter prettiness of the gowns in this show has convinced me to atleast go and try one out. 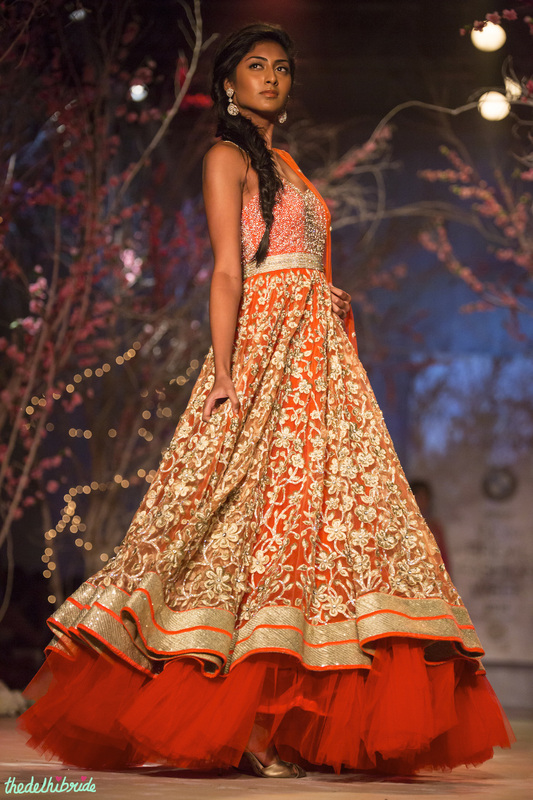 As for the rest of the lehengas and anarkalis, I liked the lighter ones a lot more than the heavier garments. 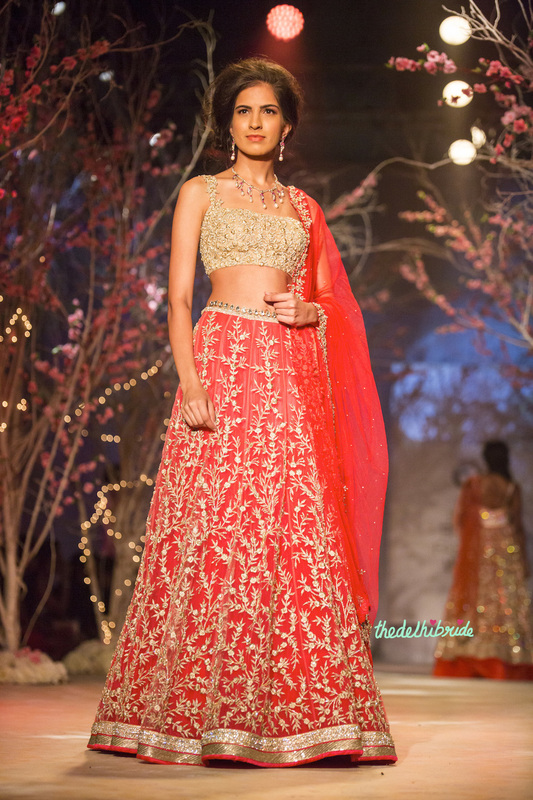 Brides will definitely find a lot of lehenga ideas here, so go ahead and browse the gallery below. Note: I realise that you can’t Pin images from Galleries easily, so I’m putting up these pieces on my Pinterest board for Fashion Week Outfits – you can access them there! 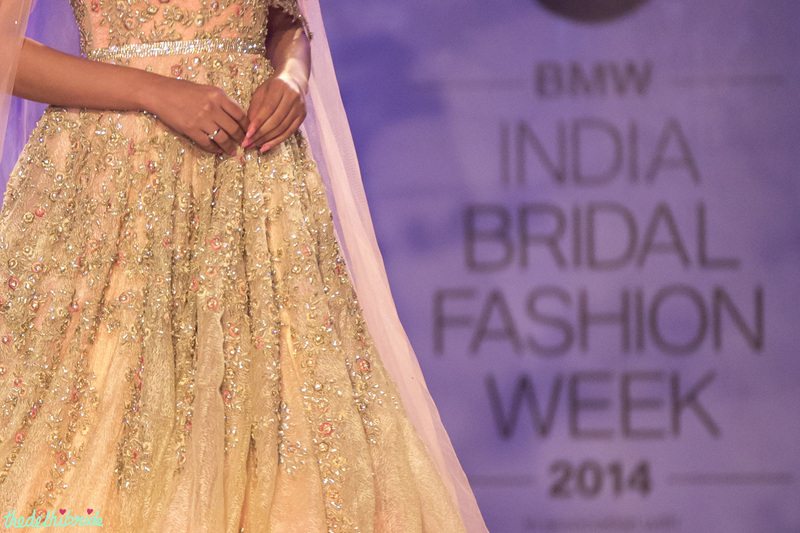 Jyotsna Tiwari deserves a big applaud and an even bigger smile for her collection this year. I’M in love! Which outfit made it to YOUR top pick? 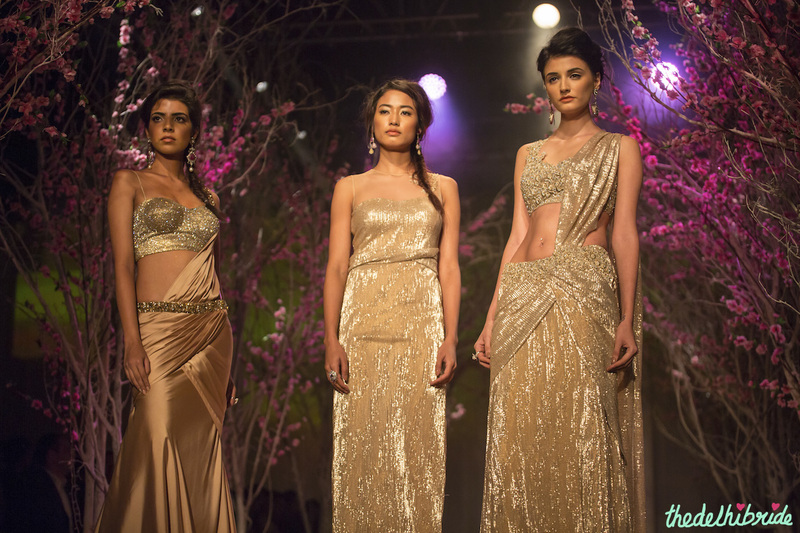 Though not a big fan of these outfits, that gold one by esha gupta does make me take a second look… love her soft curls and tiny flowers on them..
Hi TDB! 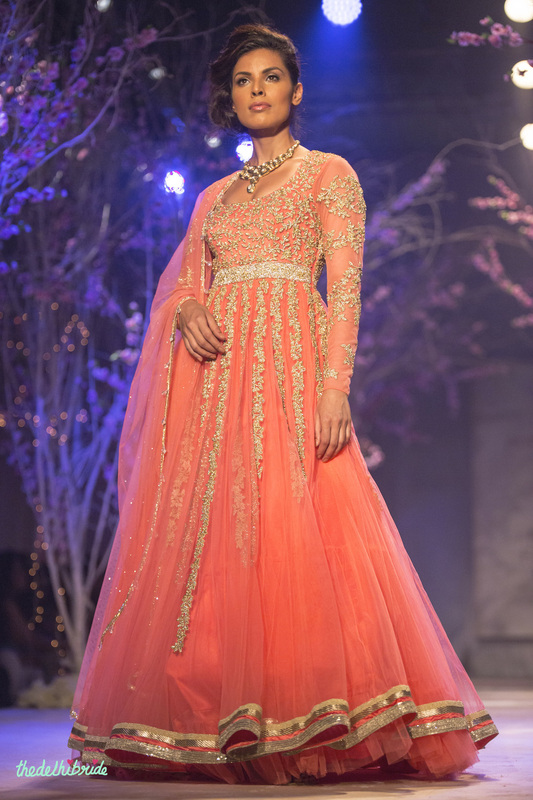 Love love this collection- its so droolworthy, omgosh… BTW, i’m curious.. what kinda events can an indian bride wear a western style gown? 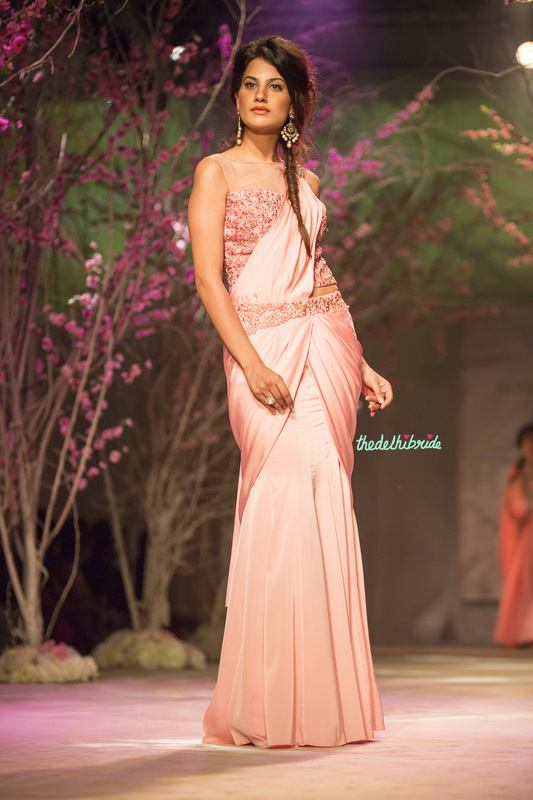 I’m getting married in Dec this year, and i have a beautiful beaded gown that i would love to pull off during the reception. Is this appropriate? And it’s mid-december, can you recommend places in Delhi i can pick up shaadi worthy shawls to warm me up during the reception? Thank you! 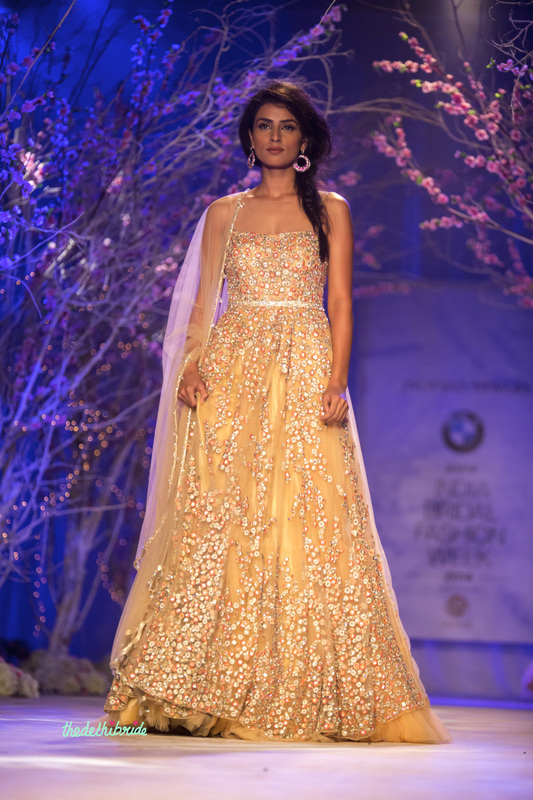 Where can I buy the gold gown/ blue lahenga? Hi Deepika! 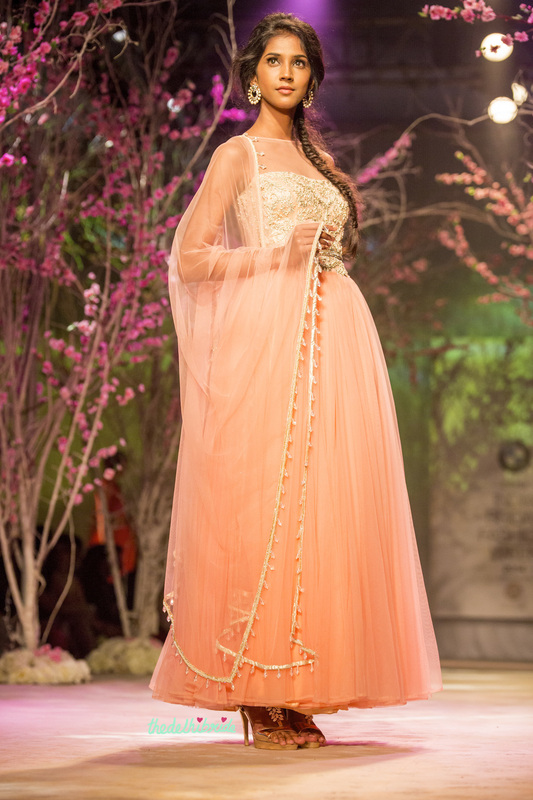 Jyotsna Tiwari has a store in defence colony in delhi. Do you live here? Hello, I’ve come across your blog and love it. 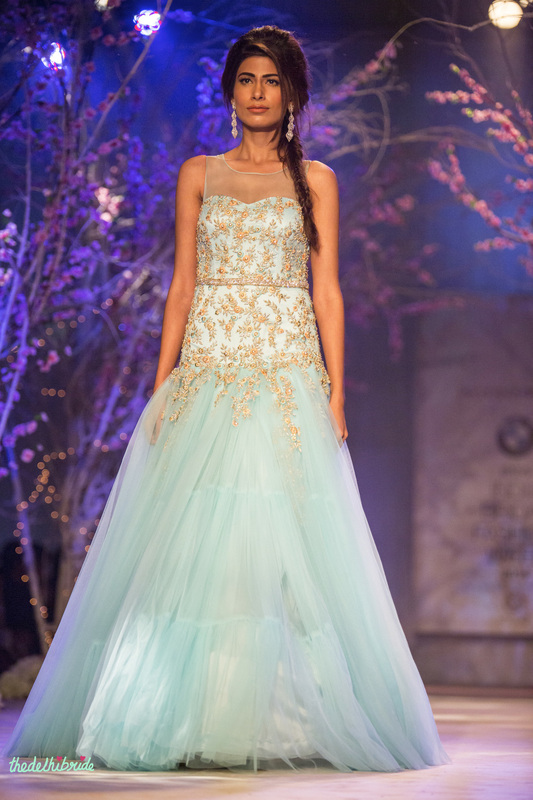 I live in the United Kingdom and wanted to know how much Esha’s dress is roughly and whether you think it will still be available? Is Jyotsna’s store still open in Delhi do you know as I read it was closed? It’s very hard to get hold of them from London! Thank you!